He will put a motion before the Executive Council of Congress today calling for an end to any further meetings with the Troika. 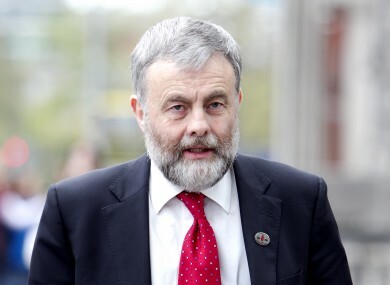 SIPTU PRESIDENT JACK O’Connor has described further dialogue between the Irish Congress of Trade Unions (ICTU) and the Troika as ‘at best, pointless’. He made the comments following yesterday’s meeting between Congress representatives and the EU/ECB/IMF in Dublin. These meetings serve no useful purpose whatsoever. Indeed, their only motivation is quite clearly to provide some veneer of consultation. The fact of the matter is that these people are simply bagmen for the big European banks who are not interested in hearing any alternatives to their wage devaluation strategy. O’Connor said that this “agenda”, “is impoverishing working people in Ireland and across Europe” and is being driven “with relentless ideological zeal and in total disregard for the overwhelming evidence that one sided austerity is not working”. He said that so far, the only result from several meetings that Congress has participated in with the Troika is “the rubbishing of well thought out proposals that impede its agenda which can be summed up as ‘there is no alternative’”. Speaking on Morning Ireland this morning, spokesperson for the European Commission, Simon O’Connor, said he didn’t want to comment on this specific case, but that dialogue with the Irish trade unions has consistently been frank, and there had been useful exchanges. He said the Troika had made a major effort to engage with Trade Unions, and had a long meeting with the ICTU on Monday. He said that “no lip service is being paid here” and that it is a genuine effort. He said that the Troika shares the concern of the Irish trade unions about the fiscal adjustment that’s underway and said it is a necessary one. He said the commission is fully engaged in this project and it is an “evolving situation”. Email “SIPTU president: Congress should not meet again with Troika”. Feedback on “SIPTU president: Congress should not meet again with Troika”.